Metal Sonic and Zero clash in Screw Attack’s DEATH BATTLE!! The killer doll is back for more mischievous mayhem in the upcoming film, “Cult of Chucky.” Following the events of “Curse of Chucky “, Nica Pierce has been committed to a psychiatric hospital for the murder of her family. There, she is given a Good Guy doll to help with her therapy. 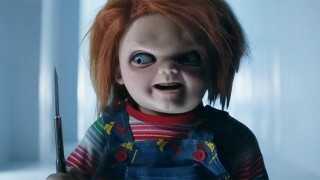 Soon, all hell breaks loose as a new string of murders begin and an old adversary returns to confront Chucky.